Oh, carbs. Tempting, comforting, available at every meal… they’re the macro we all hate to love and love to hate. Luckily, we have great news. Carbs are actually deserving of your love. 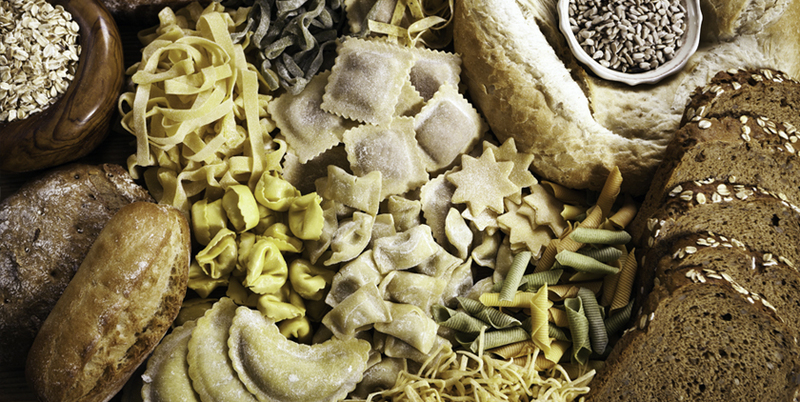 In fact, when incorporated into your diet correctly, carbs can be your best friend. And it’s all thanks to nutrient timing. Nutrient timing is exactly what it sounds like: eating specific nutrients (protein, carbs, fats) at specific times. To the average person who is not exercising, this is not very important. Rather, it’s more about what and how much you are eating. To an athlete trying to regulate metabolism and alter body composition, however, nutrient timing makes all the difference. Training regularly primes your body for nutritional intake. Eat the wrong foods and you can sabotage all your hard work. Eat the right foods, and you can maximize results. So, while carbs might not be ideal all day, they are actually beneficial before and after your workout. Why? Let’s start with the pre-workout meal. To prepare your body to perform at its best, you need something that helps sustain energy, protect muscle mass and optimize recovery. Carbs cover all these bases. They also help increase blood flow to your muscles. If your pre-workout meal contained carbs and protein, this blood will be full of glucose and amino acids, which promote muscle growth rather than muscle break down. Now, the post-workout meal. Unless you’ve been living under a rock, you’ve heard of the “window of opportunity”. This refers to the time immediately after your workout when your body is primed for nutrients. After breaking down muscle fibers with exercise, you need to refuel with the proper nutrients to start to repair and rebuild. Eating protein after your workout helps boost protein synthesis, while carbs will either be converted to fuel, or stored in the muscle and liver as glycogen (instead of fat). Basically, eat carbs when your body is ready to put them to use. While not for everyone, nutrient timing can help serious athletes perform better while getting leaner, stronger and healthier. So go ahead, fall in love with carbs all over again. Just be sure to load up around your workouts, not all day.